A Washington state man charged with plotting to blow up several buildings was found dead in federal custody Thursday, only days after being arrested during an elaborate FBI sting. Larry Gillette (Department of Corrections). 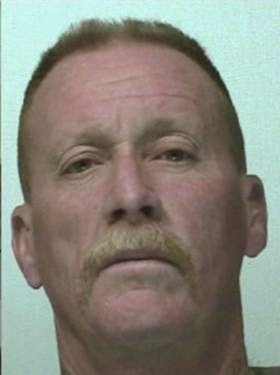 According to federal agents, 53-year-old Larry Gillette, who was serving a sentence for identity theft, told several inmates that he planned to blow up a Walmart and two gas stations as a diversion for three bank robberies once he left prison. An anonymous federal law enforcement source speaking to reporters from Kiro Radio also stated that Gillette had plans to blow up Seattle’s iconic Space Needle, although the FBI has yet to comment on the claims. Upon his release, Gillette unknowingly met with an undercover officer and received four inoperable pistols as well as a defective car bomb. Reports state that Gillette met with the officer a second time on April 28 and attempted to detonate the bomb before being arrested by the FBI. Less than a week later, Gillette would be found dead in his cell at the Seatac Federal Detention Center. The U.S. Bureau of Prisons announced the death the following day, saying hospital workers were unsuccessful in their attempts to revive Gillette from a suspected suicide. While no evidence currently points to foul play, the FBI’s history of executing people in their custody, most recently seen with Ibragim Todashev, who was shot 7 times execution style in his home, begs the question. Aside from Gillette’s death, the circumstances surrounding his initial arrest are nearly identical to every other FBI terror sting in one specific way. In almost every plot foiled by the FBI, the agency itself was found to have supplied all the firearms and explosives after secretly coercing subjects into carrying out attacks. While those who attempt to engage in violent activities should be held accountable, the federal government has continually used their own plots to push civil-liberty eroding policies in the name of protection. A 2012 report from the New York Times detailed some of the agency’s more well-know plots since 9/11, noting that such events were unlikely to occur without the FBI’s involvement. That same year, the FBI successfully recruited five “anarchists,” three of whom were suffering from mental illness, to plant explosives on a bridge in Ohio. According to reports, one of the men had been talked out of committing suicide only one week before being contacted by an undercover agent. Unknown to many, the 1993 World Trade Center bombing, which took the lives of six people, is considered to be one of the agency’s most reprehensible sting operations. Reported by CBS News at the time, FBI agents secretly supplied informant Emad Salem with bomb making materials to cook an explosive for several Muslim extremists. Despite being assured by the FBI that the real bomb was replaced with a fake, the attack was successfully carried out. Salem, who recorded phone conversations with his federal handler, brought the tapes to the media following the explosion. Although such operations are only carried out by small and corrupt units, a January FOIA request revealed that the entire agency has switched its primary mission from law enforcement to “national security.” Even with bee stings killing more Americans than terrorism each year, the change will undoubtedly allow the agency to put more resources behind the deceptive practice. Regardless of the facts, the agency will undoubtedly rule the situation legitimate. Unfortunately, the agency’s statistics continue to point the other way. Judge Andrew Napolitano breaks down 17 terror schemes hatched by the FBI.